As much as gunpowder and gasoline is interesting to watch on screen, the making of such a legendary weapon is always an interesting story. 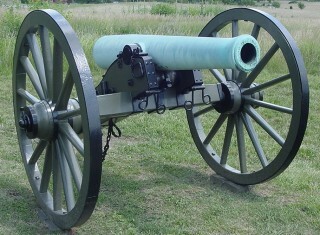 At the beginning of the Civil War, the Napoleon, the Model 1857 light 12-pounder gun, was the state-of-the-art. And just like any other modern revolutionary invention, the story of this gun is full of twists and turns: politics, technology, wars, and memorable characters. The Executive Producer of the film, Robert L. Silverman wanted to tell this story ever since he helped restore a 1861 Napoleon at the National Guard Militia Museum of New Jersey. And when a person with such a keen interest in the subjects takes up a project like this, you can place your bets on it! The documentary intends to describe the Napoleon’s design, capabilities, and place in history. It will let the audience experience all the movement, fire, smoke and sounds that the artillerists did while in battle. The subject so intense and interesting needs to be well researched to be the best of its kind, and it will definitely be. It is surely going to be a documentary that will make some serious buzz in the historical and military weapon space. This month the creator of this documentary started raising funds through the innovative use of crowdfunding. His crowdfunding campaign on Indiegogo will help him produce a high quality documentary and will allow him to film on location and to pay for first rate production and post-production work. So what are you waiting for? Be a part of this groundbreaking new and innovative documentary and visit the The Napoleon-A Story Of Artillery’s Evolution campaign site here, where you can become eligible to receive great perks from the creator of this new historical documentary!